The All American Furniture Expo is Back! The All American Furniture Expo is back for its 5th year at the Lancaster County Convention Center in Lancaster, Pennsylvania on September 10th and 11th. This year’s show will feature over eighty different American furniture manufacturers, and will include fine upholstered and hardwood furniture from all over the country. The All-American Furniture Expo offers you the unique opportunity to meet manufacturers face-to-face and to experience these beautiful products first hand. Keystone Wholesale Markets has been running shows for 13 years, and they pride themselves in the resources they provide wholesale buyers and manufacturers alike. I was personally a part of their 2014 Keystone Wholesale Show and I was amazed at how much time and effort was put into making the show a great experience for buyers and manufacturers. This is a must-attend event for anyone wishing to offer their customers quality hardwood and upholstered furniture made in the United Sates, and I hope to see you there! Note: This show is open to the trade only. 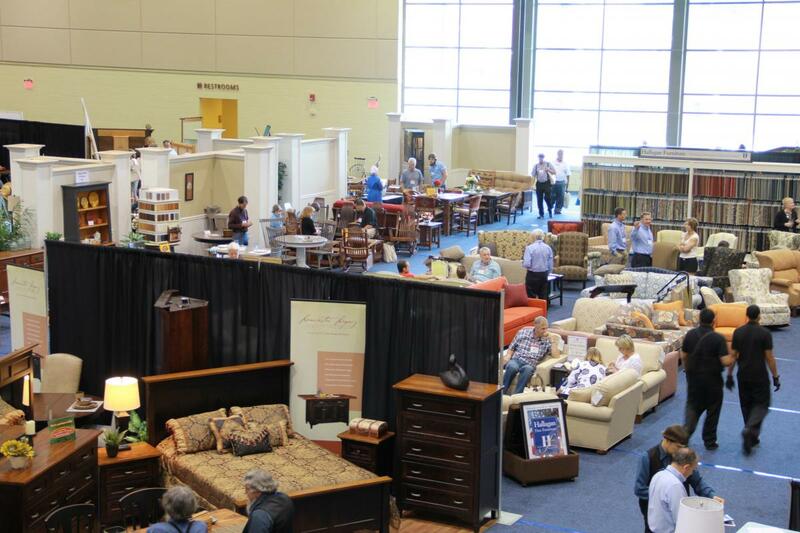 Admission is free, but only to people affiliated with a retail business that resells furniture shown at our expo. Learn more by viewing their profile page, or register online at their website.